Join Friends of Lake Williams. That allows us to show the town and state how many active members are Friends of Lake Williams. Friends of Lake Williams conducts an annual Lake Cleanup Day (Check this website or Facebook for schedule dates). You can help by volunteering your services. Additional information will be provided later on this web site and in the newsletter. 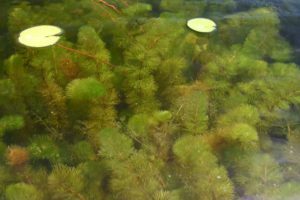 If you have spotted where milfoil appears to be growing in the lake, please let a Friends of Lake Williams member know or contact us at friendsoflakewilliams@gmail.com. You may also carry marker buoys in your boats with rocks that will serve as an anchor and mark the areas. This information is needed as soon as possible before the annual Lake Treatment that occurs in mid to late June. A lake survey will be performed by Solitute Lake Management in advance of the treatment and all information received is used to help identify infested areas to the contractor. Information received after the June treatment date will be recorded and will be extremely useful in the following treatment year. Do not discard empty beverage cans, worm containers, or other trash into the water or on the shoreline. Remove all waste when you depart. If possible, remove waste left behind by others. When boating on the lake (or on any other body of water), ensure that your boat is free of “piggybacking” vegetation before launching. Invasive weeds are known to travel between bodies of water on hulls, motors, trailers, bait buckets, fishing tackle, fishing nets, etc. We don’t want to be exporting our problem to others, and more importantly, we do not want to allow other invasive species to invade our lake by this method. Do not discard anything in the lake that does not belong there. For instance, a suspected source of some invasive weeds is from the contents of aquariums, goldfish bowls or other similar containers. If you live on the shoreline, use fertilizers responsibly and if you must use pesticides, apply them as far away from the lake as practicable and always apply in accordance with the directions on the container. Some pesticides are not recommended for application near a body of water where fish or wildlife could be affected. Low phosphorous or natural fertilizers are recommended because they will have the least contribution to algae blooms that have plagued some Connecticut lakes. If you live on the shoreline you can become familiar with and practice watershed management. It is a good idea to build in either a riparian buffer or a recessed water catchment area to prevent water from running unabated to the lake during rain events. A riparian buffer is a swath of thick brush or other plant material that is allowed to grow and become a buffer where the lake water meets your property. 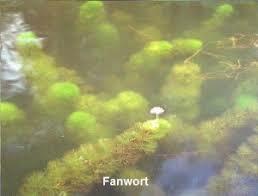 Water will be filtered by these methods and the nutrients (fertilizers) intended for your lawns will not find their way to the lake where they may create algae blooms and unintended growth of nuisance plants (invasive or non-invasive) that spoil the body of water for everyone’s recreational use. If you are a boater, maintain a distance of at least 25 feet from any markers that designate where variable-leaf milfoil has been spotted. FLW members who place these markers typically use cutoff segments of noodle floats that children use at the beach. They may appear in various colors. FLW members also use any type of floating plastic bottle that can be anchored at the spot. 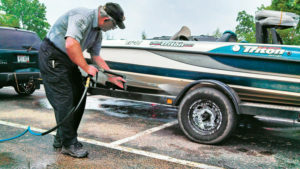 Milfoil typically propagates by fragmentation, and boat motors are notorious for chopping this invasive weed into segments that will float off and establish themselves in a new spot in the lake. If you are a registered voter in Lebanon, be active in the budget process to help ensure that sufficient funds are set aside each year. This ensures that the Town of Lebanon in partnership with Friend of Lake Williams can finance their continuing effort to combat the threat of invasive weeds.